October is National Bullying Prevention Month. Dedicated to taking a stand and creating safer, more inclusive environments for kids everywhere The goal of National Bullying Month is to encourage communities to work together to stop all forms of bullying by raising awareness of the impact of bullying on all children of all ages. Bullying is a subject that cannot be ignored and is WHY team KUDOS is dedicated to creating a kinder, more positive world through a safer-social community. The Kudos platform discourages bullying and encourages positive communication. Kudos is creating a space where kids are learning to be good digital citizens. We will be highlighting stories of kids who have overcome bullying and have positive messages of hope and tips that can help others. Introducing Kudos Kid, Kate Dellett! Today we are so excited to feature an amazing Kudos Kid and child author, Kate Dellett! 13 year-old Kate Dellett wrote a book called “Ally the Brave” an anti-bullying novel at age 11 while in fifth grade. The book follows the lives of Ally, Jane and Lulu, three best of friends who are navigating their way through the craziness of fifth grade. Most people have friends that they can lean on for support and look to in the darkest moments. Most people, that is, except Billy. Billy is alone in the world and has no friends. He bullies kids and shuts people out of his life. Ally and her friends stumble upon this boy and try to learn why he is like this. But will this quest jeopardize their friendship or will they expose Billy’s true heart? Ally the Brave is available on Amazon. Kate wants to give readers the message that there is always light in life. She intends to continue writing novels and stories as her career, and is currently working on her next novel. 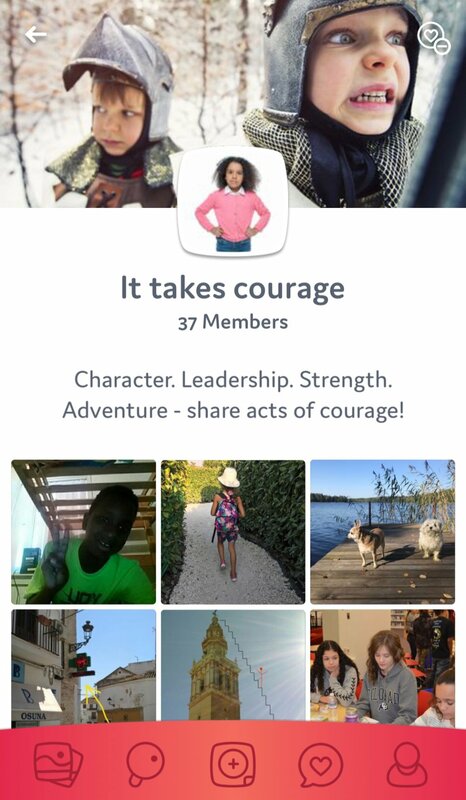 To celebrate kids like Kate, we created a new group called “It Takes Courage” on the Kudos app and invite Kudos Kids to share the moments they have captured that show courage.